Personalise your suitcase with these fantastic suitcase stickers. How many times have you stood waiting in vain for your luggage at the carousel in the airport, desperately trying to identify your case amongst the hundreds of lookalikes merrily making their way round and round the conveyor belt? 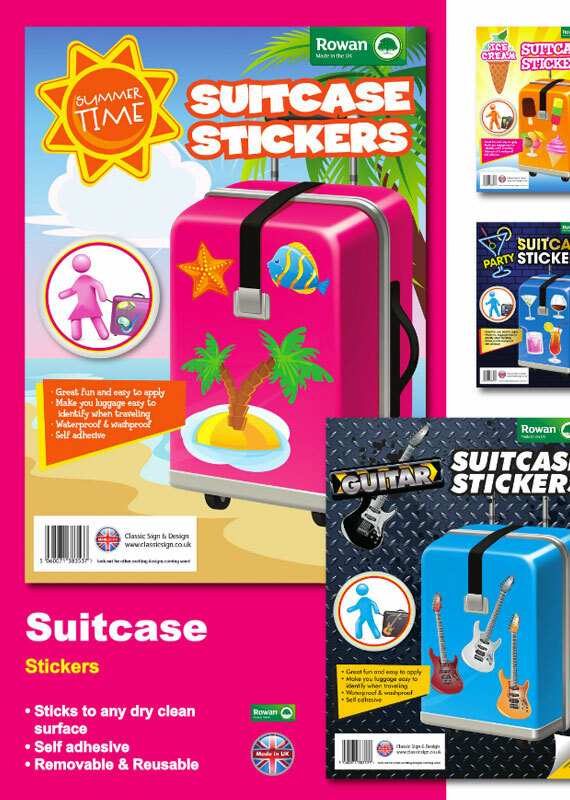 These self-adhesive suitcase stickers will individualise your luggage, making it easy to recognise as well as adding a touch of eye-catching flair. Brighten up your case with a choice of eight different designs, all of which can be used individually or mixed and matched to create an attractive and unique bag or suitcase that is instantly recognisable the minute it lands in baggage reclaim. 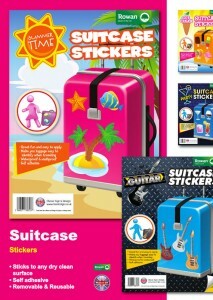 Our popular suitcase sticker pack themes include Sports, Funky Fish, Guitars, Smiles, DJ, Party, Ice Cream and Summer Time. Made from high-quality, wipe-clean self-adhesive vinyl, Suitcase Stickers are easy to apply and are highly durable. And whilst they will not come free in the luggage hold, they are easy to remove with no residue – so when you are ready for a change you can rejuvenate your suitcase or bag with a different design as and when you wish. Our Suitcase Stickers are 100% British made and can be delivered to any address in the UK or worldwide. Why not order yours today and bring your luggage to life?